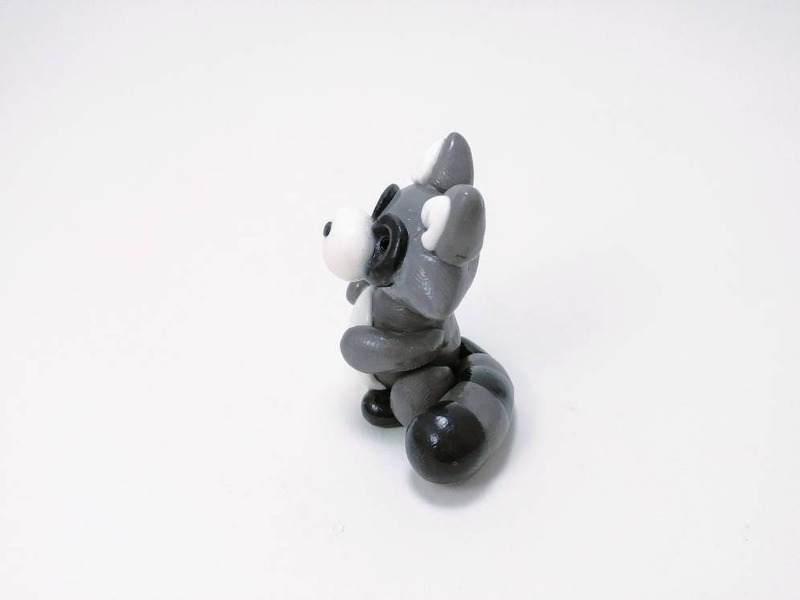 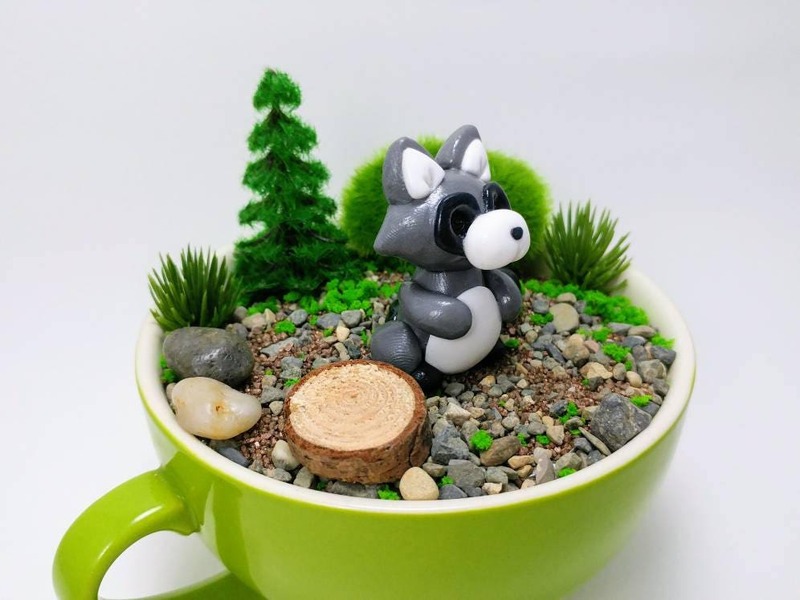 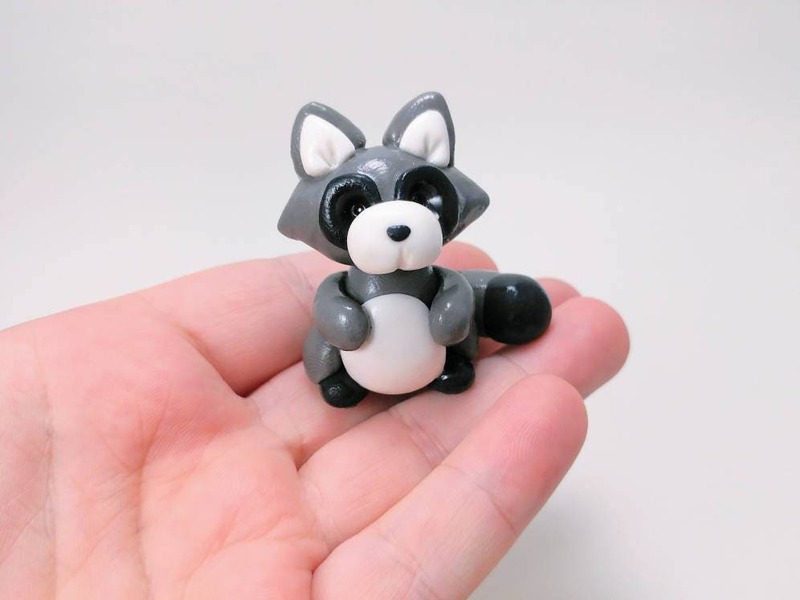 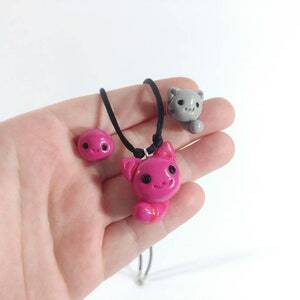 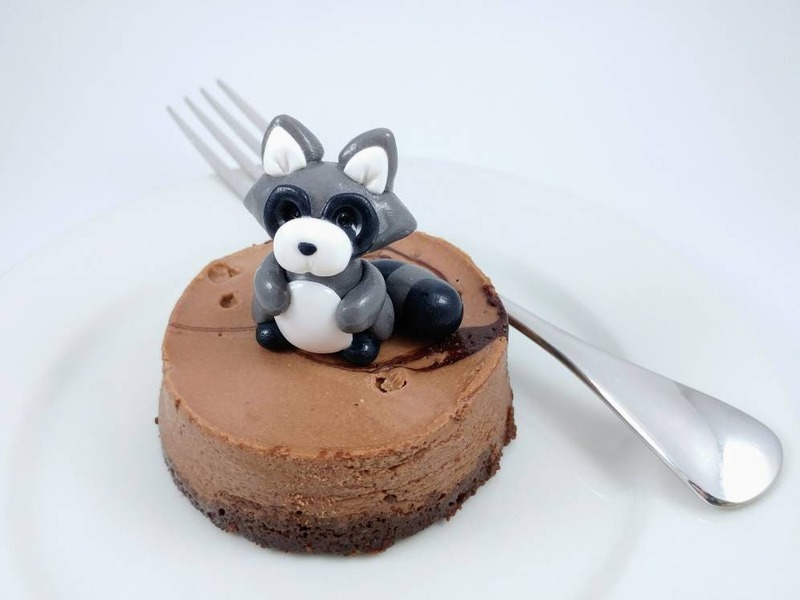 This racoon is handmade out of polymer clay. 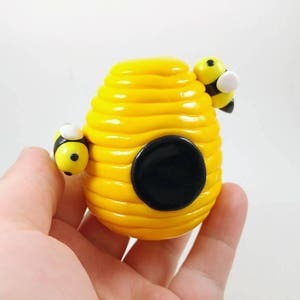 It is coated with high quality glaze to protect it from some harm. 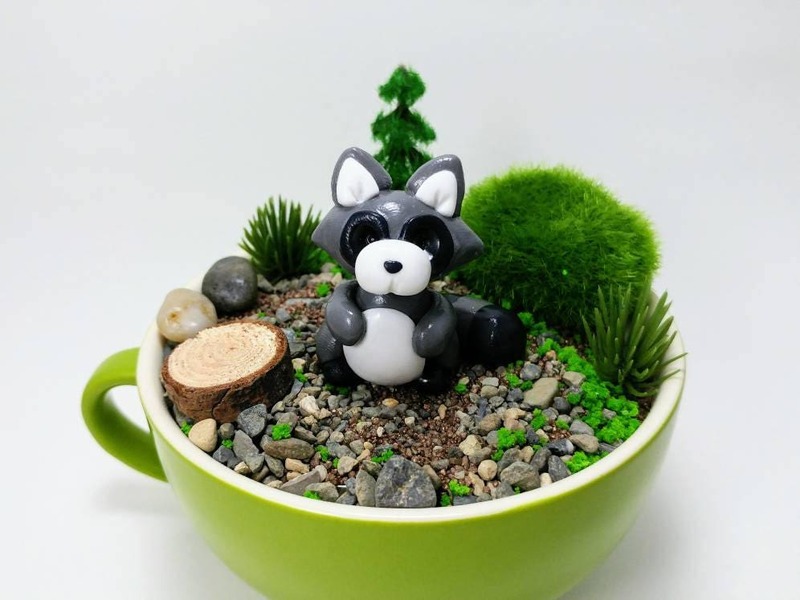 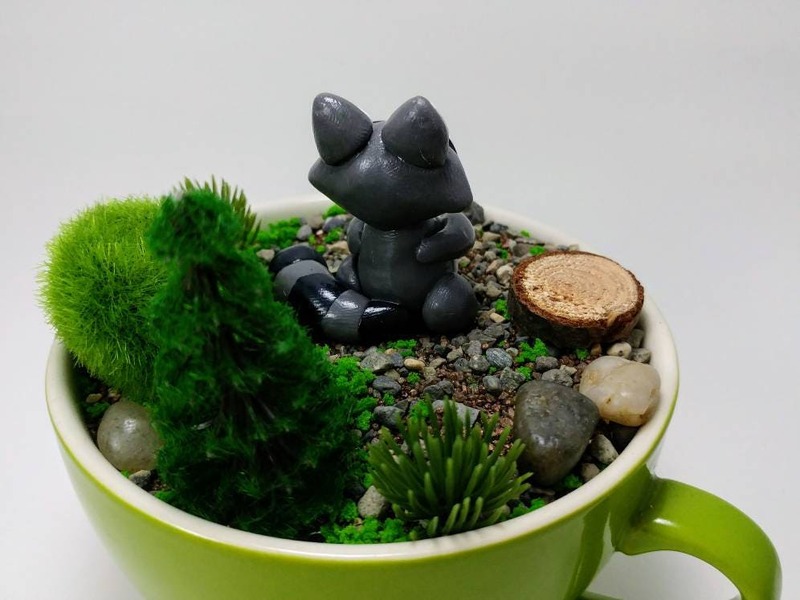 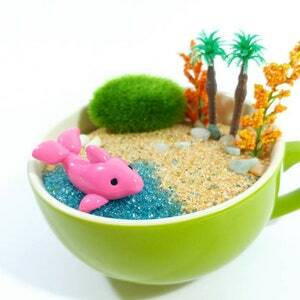 This figure is a fun addition to any terrarium or fairy garden. 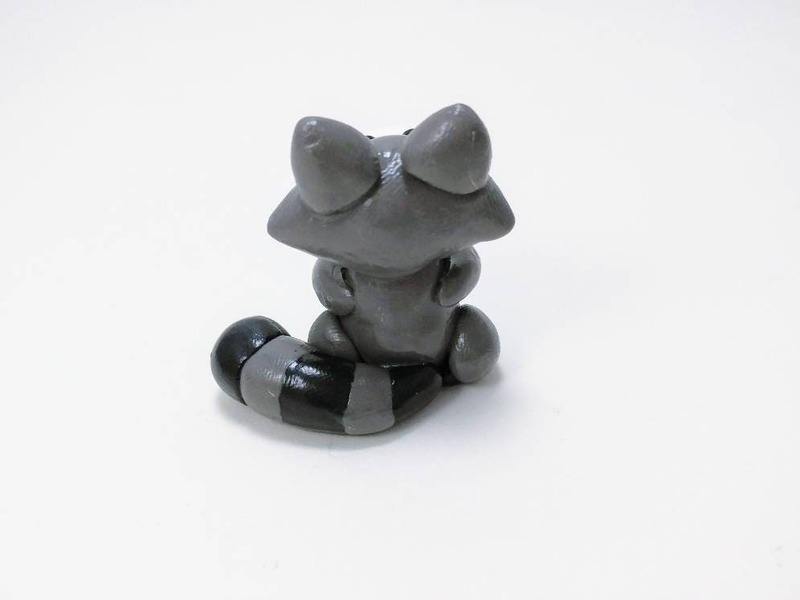 The figure is about 1'' tall. 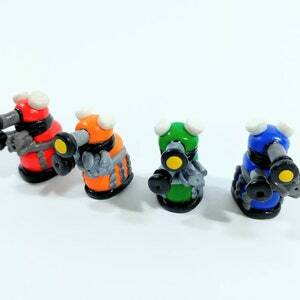 The figure you receive may look slightly different than the ones pictured as it is made to order.